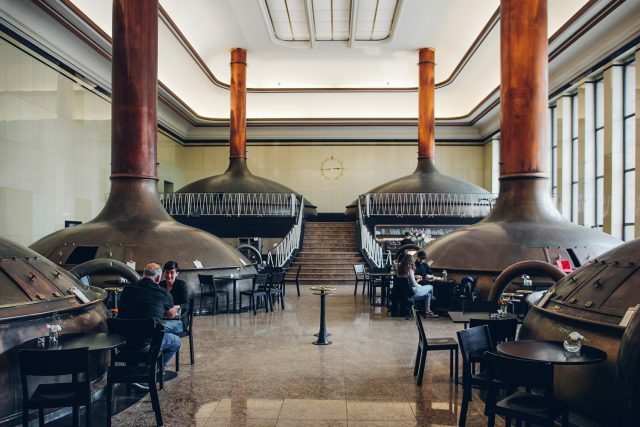 The old Kindl brewery that was recently transformed into a center for contemporary art has a few surprises in store such as the bar that seems to be already quite popular, or the cafe called König Otto. This one in particular looks quite magnificent because of the huge copper tanks in which the beer used to be brewed. I remember coming in here by accident when it was still in construction and it was just one big wow moment. The magnificent Funkhaus in Oberschöneweide is already pretty amazing and so impressive to visit, no matter if it’s an exhibition or a concert. Their halls and rooms are adorned with 60s style wood paneling that give it a very special atmosphere. 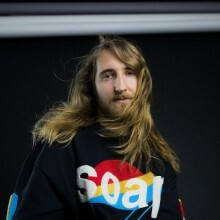 The latest edition is one room they call The Living Room which is a lounge and bar they use for special events or for a pre-drink for the concerts. It’s impressively furnished with elegant vintage couches, tables, sofa chairs and lamps from the time that create an incredible luxurious and cosy atmosphere. This one is maybe not as visually striking as the other ones, but the concept is very unusual for Berlin. 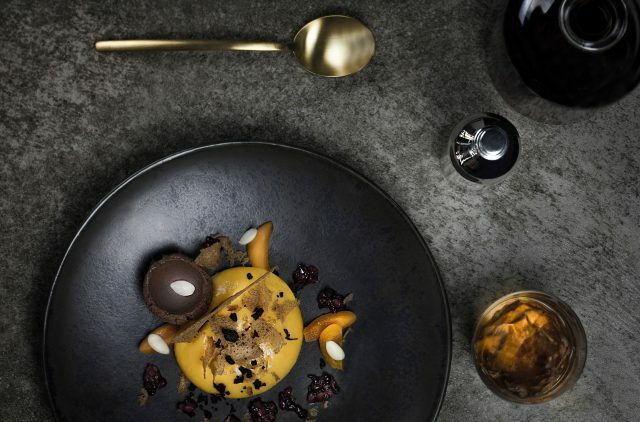 Instead of dinner they offer a menu of really extravagant dessert creations, all paired with elaborate drinks. It’s an experience that you don’t wanna miss, not only if you have a sweet tooth, but also if you enjoy beautifully decorated food creations with unexpected taste experiences. 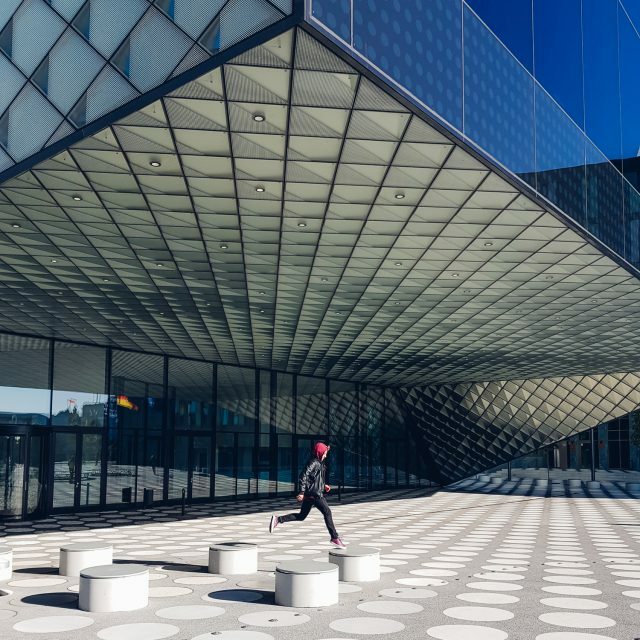 The Futurium is a brand new museum for the future near Hauptbahnhof that hasn’t even opened yet but is already a favorite for photographers and Instagrammers. The buildings stunning futuristic architecture will certainly catch your attention when you pass by with the S-Bahn, but it looks even better from the front side with its overlapping roof, reflective facets on the facade and the big dotted pavement around it. We also had the chance to take a sneak peak inside last year and the wonders of design and archticture continue inside. We can’t wait for its opening in the Spring of 2019. Luckily there are some events happening there until then. I think a lot of people will be already familiar with the curious Haus Schwarzenberg – one remaining unrenovated Berliner Hinterhof in the fancy Hackescher Markt area that inhabits a cinema, a bar, a cafe, a shop and a gallery. 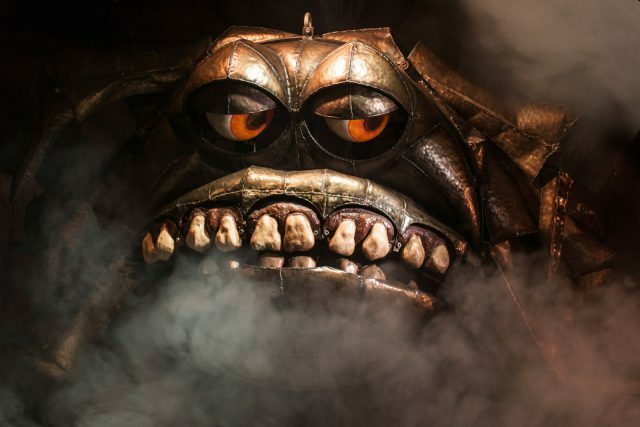 But few people might have noticed what lurks in the shadows of the basement of this kooky house: The Monsterkabinett is a mini museum full of animatronics which are quirky mechanical creatures that were used in movies and shows before the times of special effects. With guided tours you get to see this unusual collection in action. When the Haubentaucher opened a couple of years ago it was a big wow moment for everyone. A big blue pool inside a roofless old industrial hall, surrounded with graffitis. It was certainly a welcome edition to the other urban pool which is the swimming pool of Badeschiff. The stunning looking location instantly became popular, even prompting long lines and harsh door policies. A string of high profile events made it even more popular. Now you can visit open air yoga classes there, hang out by the pool during the day or enjoy a drink or a dance in the night. St. Agnes is a former church in that was turned into a gallery for contemporary art by Berlin gallery owner Johan König. I visited it the first time before it was a gallery for a retrospective fashion show of Yohji Yamamoto back in 2013. 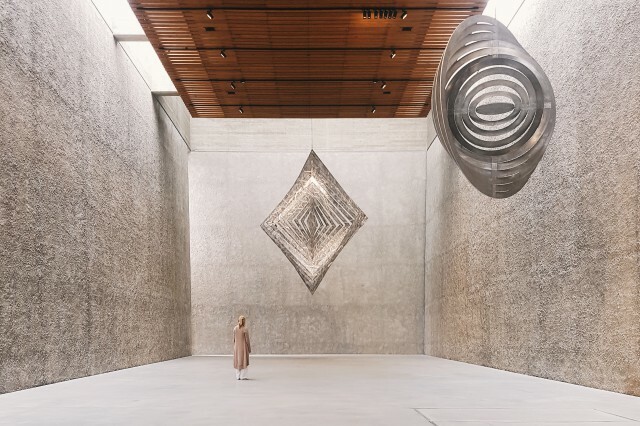 I had been to unusual events in churches before, but this was certainly stunning to experience thanks to the Brutalist architecture of the building. Also now when you go see exhibitions in the big upstairs room with its super high ceiling you will most certainly be impressed. 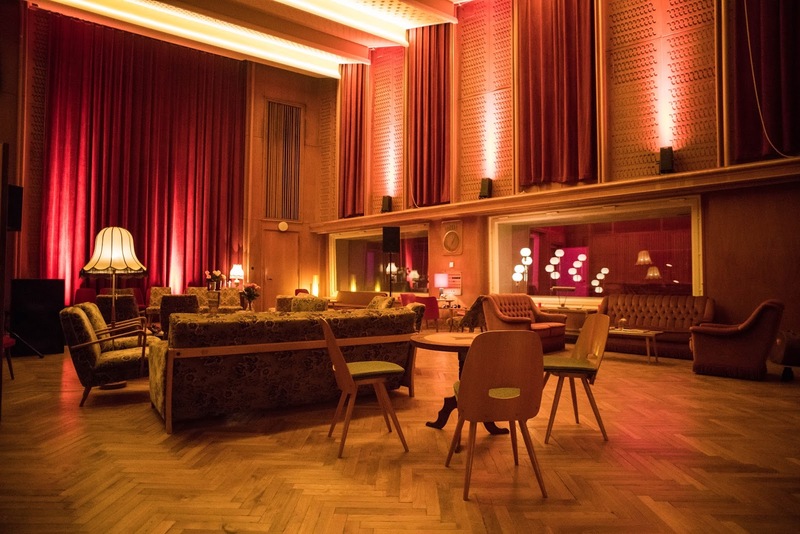 The Tangoloft in Wedding is probably the most iconic Tango studio in Berlin of which we actually have quite a few. The location is in the Gerichtshöfe where you will also find the hidden Anita Berber bar or the culture cafe/bar Panke, as well as many other interesting projects. 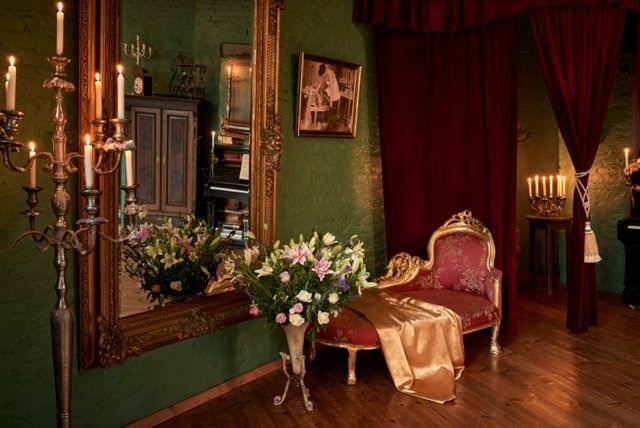 It looks super charismatic with its romantic vintage furniture and decor with lots of gold and red velvet embedded into the industrial charm of the old building. It’s definitely a Berlin classic to look out for, not only if you are interested in Tango! When I asked around in my circle about places in Berlin that are surprising and unusual several people mentioned Körnerpark in Neukölln. Indeed when I stumbled upon it for the first time many years ago I couldn’t believe my eyes to see this little stretch of green in such a particular style in this neighborhood. 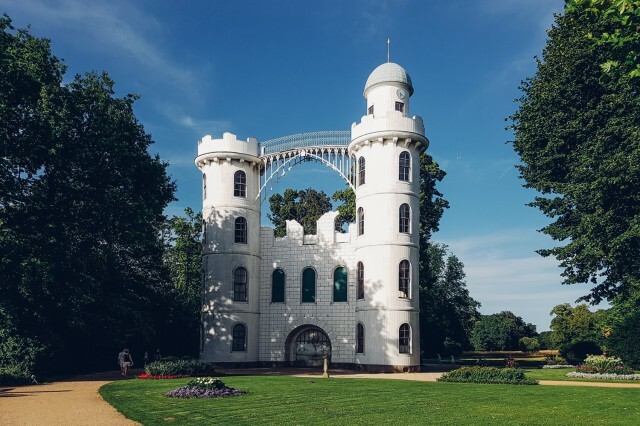 With it’s design you would expect it more in Potsdam’s Sanssouci Park, but no, here we are in the middle of Neukölln. There is a little gallery and cafe on one side of it that are really charming as well. Another classic that I might not have though of by myself because it’s too much of an obvious candidate is the magical Pfaueninsel. It actually took me a loooong time to finally go there, in fact my first visit was just last year. It was a super nice bike ride through the Grunewald forrest and then a quick ferry ride over to the secluded island. It has a really curious history that you can read up on here, and be enchanted by those fairytale-like little castles with peacocks walking about. Opening times vary by season, check website for details on that. Kann allem nur zustimmen! Gute Auswahl.